​Schedule Your FREE Estimate Today! Our Roofers Provide Professional & Quality Workmanship from Start to Finish! Attention Virginia Beach Homeowners: Summer is the best time to get the best deal on replacing your roof!!! Call us or fill out our Contact Form to schedule your FREE Estimate today! Additional discounts for Senior and Military available as well! 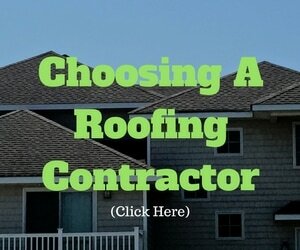 Use these guidelines to make an educated decision when choosing a roofing company. What we're doing is extremely important. Schedule a FREE Roof Repair or Roof Replacement Estimate Today! "Your No. 1 Choice For Residential Roofing, Commercial Roofing and Siding in ​Virginia Beach, VA"
​It's a really important decision to choose the best roofing contractor to work on your home or commercial property. And when there are so many different options, it is even more difficult. Many people think, 'Well, I'll just hire a roofing contractor near me". That only does you good if they are reliable, professional, and if they will still be around next year to back up their work if necessary. It's hard to choose, we get it. But you know what you don't want - right? 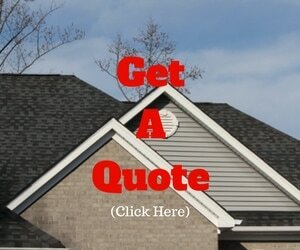 ​You don't want to hire just any chuck-in-a-truck fly by night roofing contractor scouring your neighborhood. You don't want some guy that looks like he just left the bar giving you an estimate on the back of a napkin. 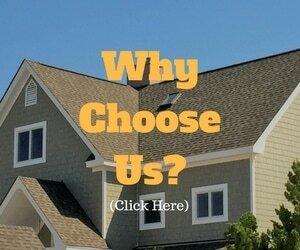 As roofing contractors we have more than a decade of experience reroofing Virginia Beach. There is nothing more irritating than those roofing companies who cut their cost by using unskilled "roofers", using improper installation techniques, and who choose inferior materials. At Coastal Roofing we will not cut corners but will still maintain a reasonable price range while providing superior work. ​You see, roofing is extremely complex and little mistakes can cost the home or business owner big money. Did you know that over 80% of a roofing system is installed where you can't see it. Once the top layer goes on, how would you ever know what kind of work was done? 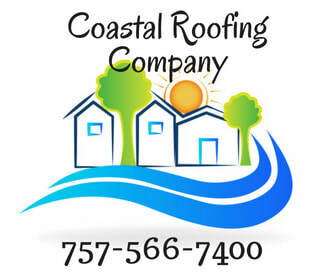 With over a decade of experience in Roofing and Home Exteriors, Coastal Roofing provides quality services for your home. To schedule your roofing estimate, fill out the form below or click to call us now! Let's Schedule My Free Roofing Estimate! We start with trusted people. The people that work for us are each master craftsman. They have the training behind them and they have experience. When they complete your roof, you won't just like it - You'll love it (and your neighbors will be envious too)! We primarily focus on one thing...Roofs, but as a Class A contractor we can do pretty much anything you need done. We can do siding, gutters, trim, wrap, and windows. We are a GAF Certified Roofing Contractor. Why GAF? Because we're committed to using only the top quality roof shingles and roofing materials. ​We trust the quality, durability and performance of these roofing materials, especially when they are professionally installed by our experienced, factory-certified crews. And we know firsthand that GAF stands by their guarantee. The roof installation process is the most important. After all, it's the guys up on the roof that keep your home safe! Make sure your contractor has experience (many go out of business within five years) and that they give a warranty on their labor. ​If a contractor installs the roof incorrectly, it may take months or years for the damage to show up—and insurance won’t pay for it. If the contractor won’t fix it (or worse, has gone out of business), your only recourse is to pay for their mistake yourself. Make sure whoever you hire has a trusted track record and uses factory-trained installers like we do at Coastal Roofing. While you are gathering estimates, make sure you know what's in your estimate and that all the estimates you receive are based on the same shingle type, etc... Because if you are not comparing apples to apples, you can get a wide variety of prices and products. ​When we come out to check your roof, we are thorough. So when we sit down with you to give you your roofing estimate we know exactly what needs to be done. 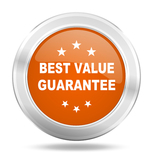 We will tell you exactly what your options are and give you our best estimate. Get Your Free Roofing Estimate Here!